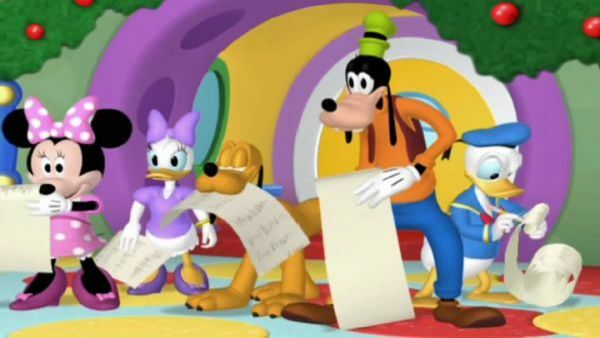 I see you made your Christmas lists MINNIE: Uh-huh. GOOFY: Sure did. DAISY: Right here. MICKEY MOUSE: Let's gather 'em all up for Santa. ALL [singing]: Christmas list, Christmas list, A list for Santa Claus! Make a list of what you wish to give to Santa Claus! DONALD DUCK: Give me a minute. What do I want for Christmas? 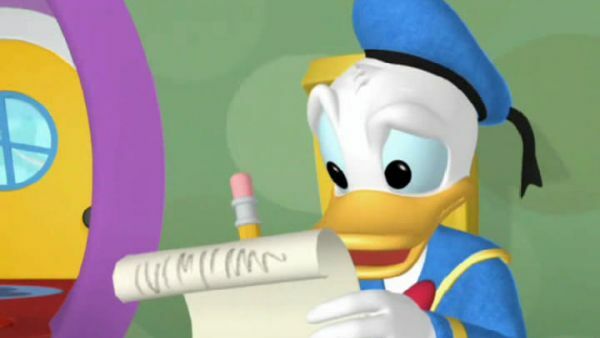 Oh, boy... MICKEY MOUSE: Looks like Donald's still working on his Christmas list. 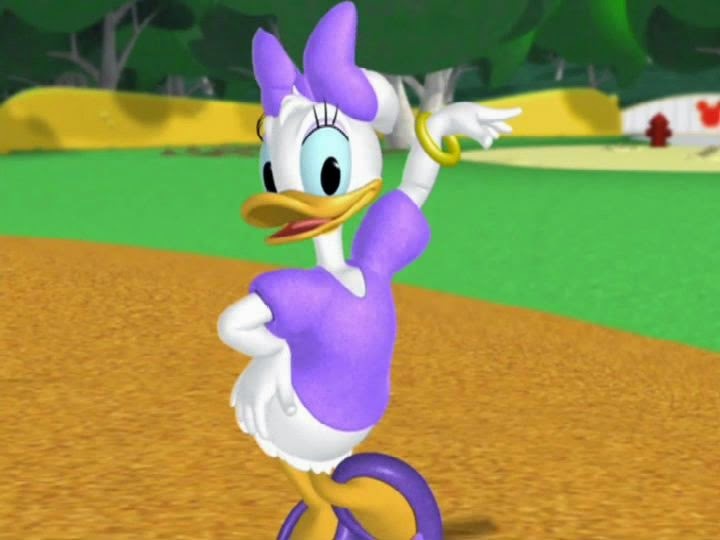 DONALD DUCK: Uh, OK, I want a fire truck and a dog and a boat and a washing machine and a fire hydrant and a... DAISY: What was that? MINNIE: Sounds like somebody's on the roof. GOOFY: Gawsh! Maybe it's Santy Clause. 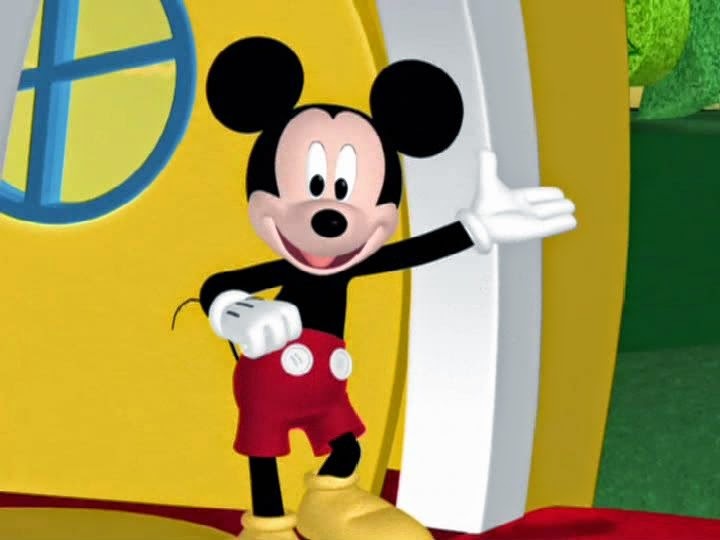 MICKEY MOUSE: Come on, let's go see. DONALD DUCK: What? Santa Claus? But I'm not ready yet. MICKEY MOUSE: Do you see what made that noise? You do? Where? MINNIE: Behind us? MICKEY MOUSE: Look! MINNIE: Wow! DAISY: Oh, my! 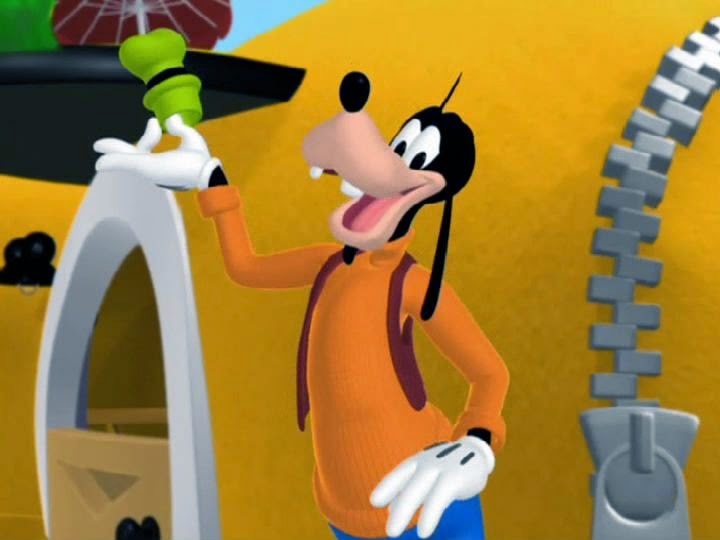 GOOFY: Gawsh! MINNIE: That looks like Mrs. Claus. MICKEY MOUSE: Oh, my gosh. Let's wave and say, "Hello, Mrs. Claus." ALL: Hello, Mrs. Claus. MRS. CLAUS: Hello, kids. Onward, Dasher. Wheee! 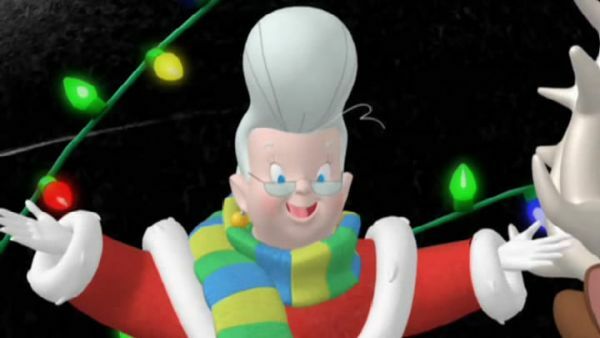 DONALD DUCK: Oh, and a baloney sandwich and a... MRS. CLAUS: Donald, duck! 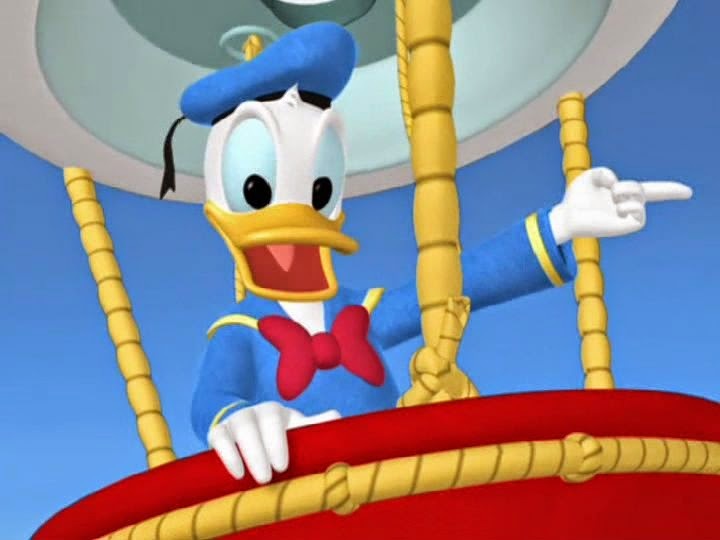 DONALD DUCK: Yow! Ah, phooey! 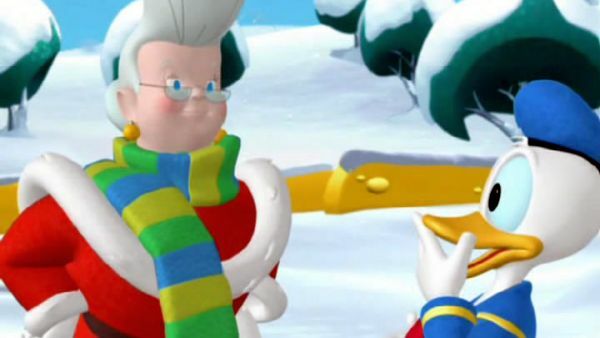 MRS. CLAUS: Oh, I'm sorry, Donald. DONALD DUCK: What's the big idea? 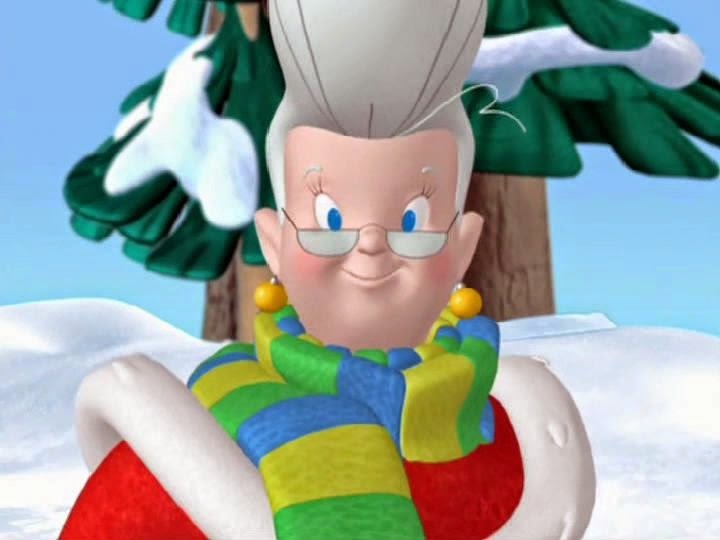 MRS. CLAUS: Now, now, Donald. If you want Christmas presents, you've got to be nice. DONALD DUCK: Oh, my goodness. I'm sorry, Mrs. Claus. 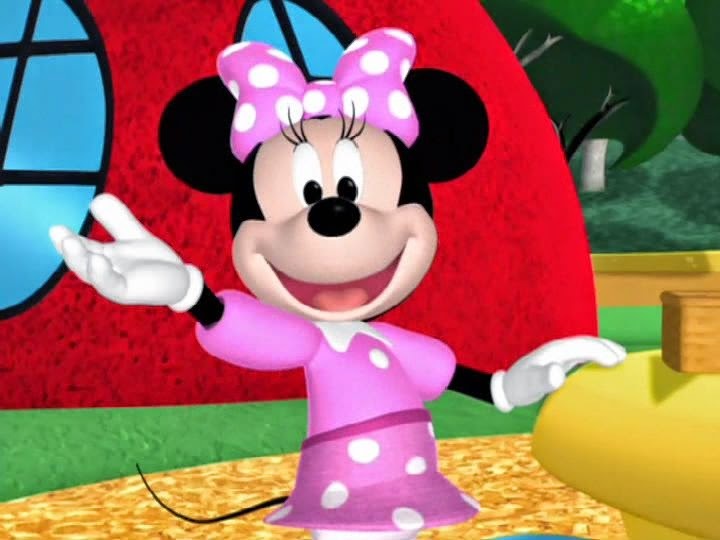 MICKEY MOUSE: Say, Mrs. Claus, what brings you all the way to the Clubhouse? DONALD DUCK: Did you come for our Christmas lists?